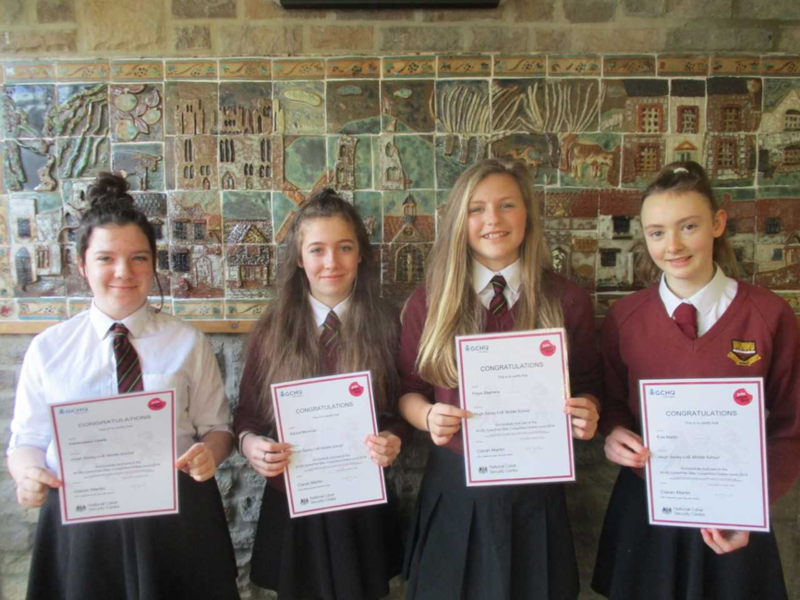 Four Year 8 students took part in a Cyberfirst Girls competition run by GCHQ. Cassie, Evie, Freya and Rachel took whatever opportunities were available to them to go online for the week of the competition. They answered questions on cryptography, cyber security, logic, coding and networking. Whilst not one of the select few teams to make it to the final in Scotland, all four are looking take things further by attending a Cyberfirst Defender course. They have been invited to attend following their participation in the competition.